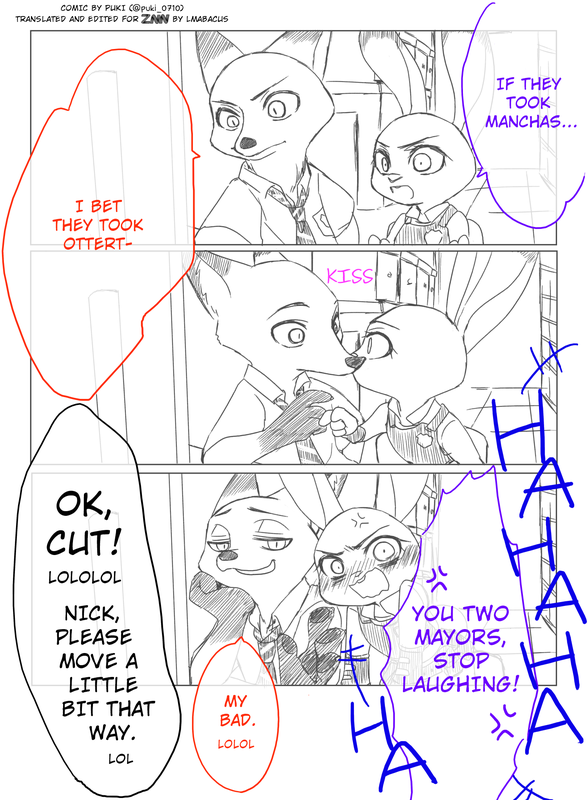 Thanks to Puki for making the original comic and for providing textless versions of the pages, and to LMAbacus for translating and editing it! Check out the original over on Twitter, the scene in question here and the translated version after the break! As usual for translated comics, read from right to left! I really do like the idea of bloopers in these kinds of movies! Always gives me a laugh when they happen. "Mayors"? You mean "Directors", perhaps? No, the director is the one saying cut. The mayors are Bellwether and Lionheart laughing their head off offscreen. Maybe producers would make more sense. Why would they call the actors mayers? That doesn't make sense. Well the entire concept of having a blooper reel for a movie that doesn't even have actors doesn't make sense either. You just have to go with it. Take the Toy Story bloopers. Are they actors playing characters called Woody and Buzz or are they called Woody and Buzz in real life? They call each other Woody and Buzz in the movie and in the bloopers. They did something akin to this for The Lion King's Diamond Edition release. 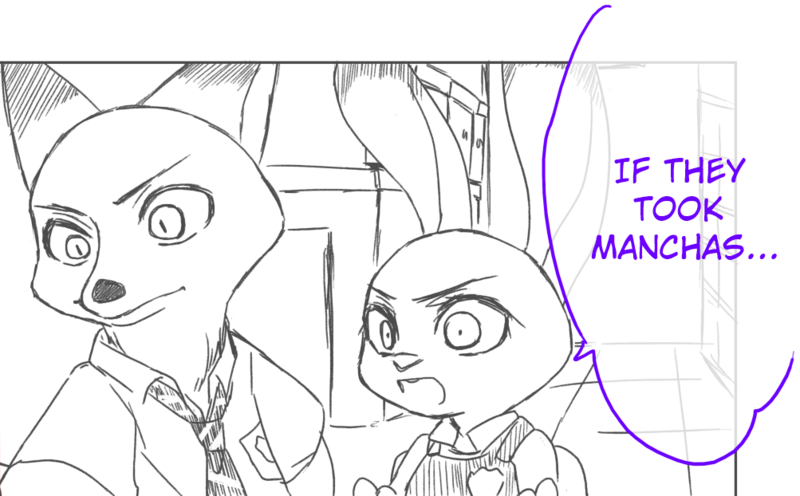 I'd love to see them do something like that for Zootopia too!